Fall sports are just around the corner, so now is the perfect time to dive into one of the most common causes of dental issues we see among athletes – Sports drinks. Visit any sporting event and you won’t have to search too long or hard to see those colorful drinks scattered on the sidelines. While sports drinks may be good at helping an athlete recover after a grueling workout or providing a potential boost to performance, we caution you to consider the ramifications to your oral health as well. Part of an athlete’s responsibility to protect their body is taking care of the teeth and gums too! Most patients would assume the sugar is the reason for these dental issues, but the truth is that even if you go with sugar-free versions of these sports drinks, damage will still occur. 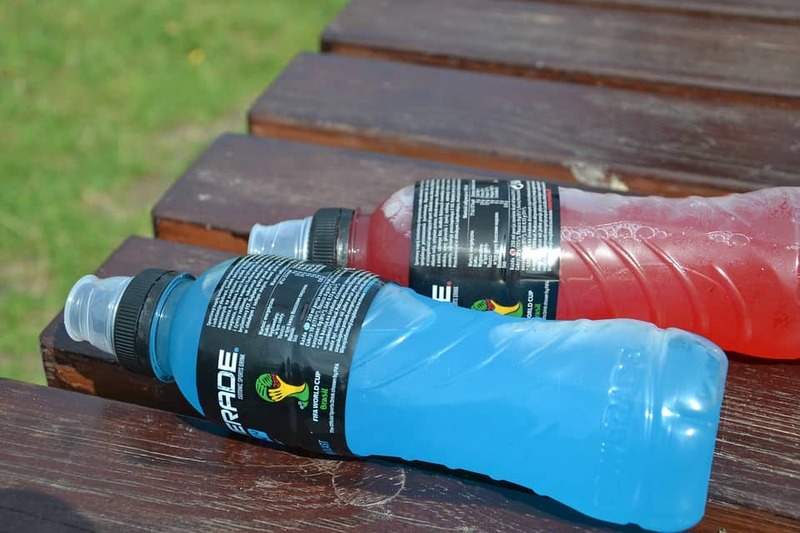 The primary problem with sports drinks is their high levels of acidity. Combine this with the sugar most of them contain and add decreased saliva production during exercise, and you are going to war with your own teeth and gums! We encourage patients to keep in mind these helpful tips when the sports season rolls around. Limit your consumption – Limit how many sports drinks you consume per week, and never exceed more than one a day. Limit contact with your teeth – Since the high acidity weakens enamel, and the sugar sticks to teeth and promotes bacteria growth and decay, you want to limit the contact these fluids have with your teeth. Consume them quickly and preferably through a straw. Rinse or chew sugar-free gum – Help fight the acidity by rinsing with water after each sip of a sports drink. Chew on some sugar-free gum to help increase your saliva production. Hold off on brushing – Brushing too soon after drinking a highly acidic beverage will spread the acid around and help cause even further corrosion of the tooth’s dentin. Wait 30 to 45 minutes before reaching for your toothbrush. Enjoy the season, and be sure to give us a call if you run into any dental issues along the way. You can reach the Susquehanna Dental Arts team at 717-285-7033 or 717-684-3943. Posted in Informational and tagged enamel erosion, sports drinks, sugar-free on July 28, 2017 by admin.